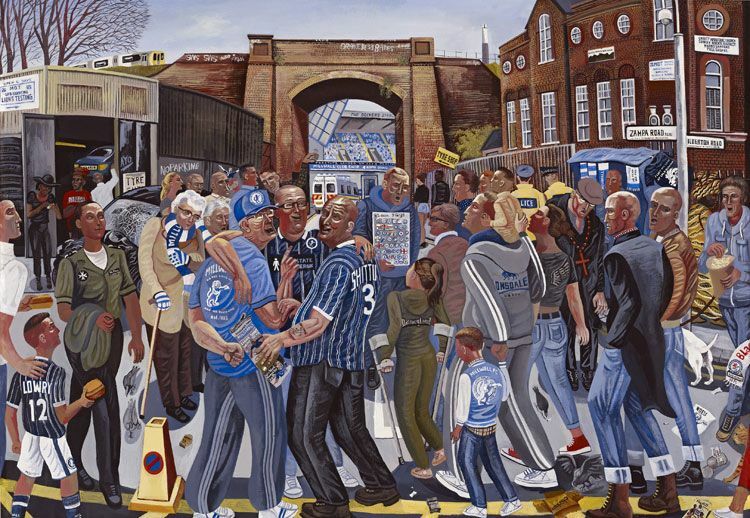 Ed Gray will be signing copies of his latest catalogue ‘Rock of Eye: Ed Gray Painter of City Life’ at the Opening Afternoon on Saturday 16 May, between 2– 6pm. Ed will also be holding a day of free talks for school and college groups at Viking Gallery, contact info@GXGallery.com for availability and booking. Ed Gray achieved BA (Hons) Degree in Fine Art at Cardiff Institute, University of Wales. 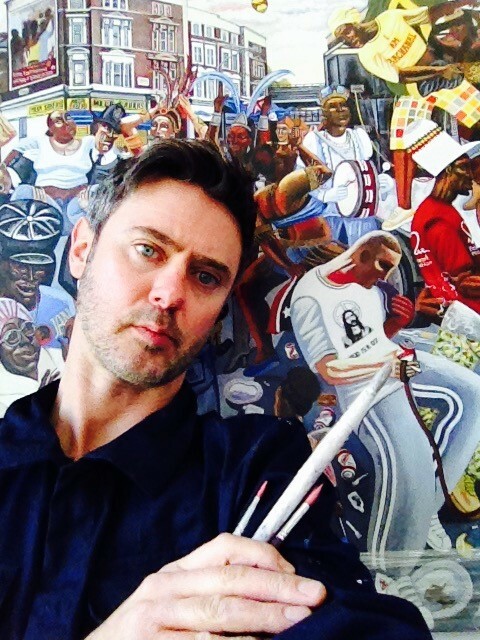 He has been represented by GX Gallery since 2004 where he continues to have sell out exhibitions. Gray has exhibited widely including exhibitions at GX Gallery, London; City Hall London, Thames Festival, OXO Gallery London, Crypt Gallery St Pancras, and Searcys at the Swiss Re Building. In 2001, he was awarded a fellowship to the Masterworks Foundation of Bermuda. He has lived and painted in New York, Mexico, Tokyo and Bangkok and in 2009 he was commissioned to visit South Africa for the FIFA 2010 Fine Art global touring football exhibition. His work is included in various Public institutions including Swiss Re Building, Tate Britain Archive and Masterworks Gallery of Bermuda. Gray has also lectured at a wide range of art colleges and public institutions including, The National Gallery, London; Sir John Soane’s Museum London, Chelsea Collage of Art (UAL), London, University of Connecticut, University of Southampton Solent. The Viking Gallery is a newly refurbished art space in in Margate’s up-and-coming Cliftonville. The gallery exhibits contemporary artists, from emerging to established, local to international. The gallery is a short walk from the seafront and local attractions including the Turner Contemporary and the Walpole Bay Hotel.